A rare find of one of the bigger homes in North Shoreview consisting of 2,010 sqft and sits on an extensive 5,400 sqft lot in this tranquil quiet neighborhood just steps from the bay trial. This two story home features 4 bedrooms and 2 bathrooms. The dining room can easily be converted back into a fifth bedroom. 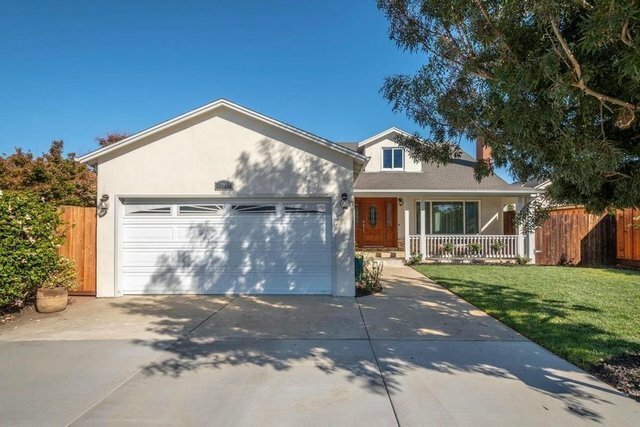 This stunning home features an open floor plan, is freshly painted inside and out, and includes refinished hardwood floors, LED recessed lighting and double pane windows. The home showcases a chef's dream kitchen with stainless steel appliances and spacious Imperial granite countertops. This kitchen has under the cabinet lighting, along with an extended island with a six burner stove, wine fridge, kergerator (beer on tap), double ovens, hot water dispenser, and breakfast bar. Landscaped to perfection with fresh new lawn. This sought after location is close to everything the Peninsula has to offer. Nearby major commute route lead to SF, Silicon Valley, SF Bay, SFO, & downtown.